Children & Grandchildren are truly Heavenly Blessings. 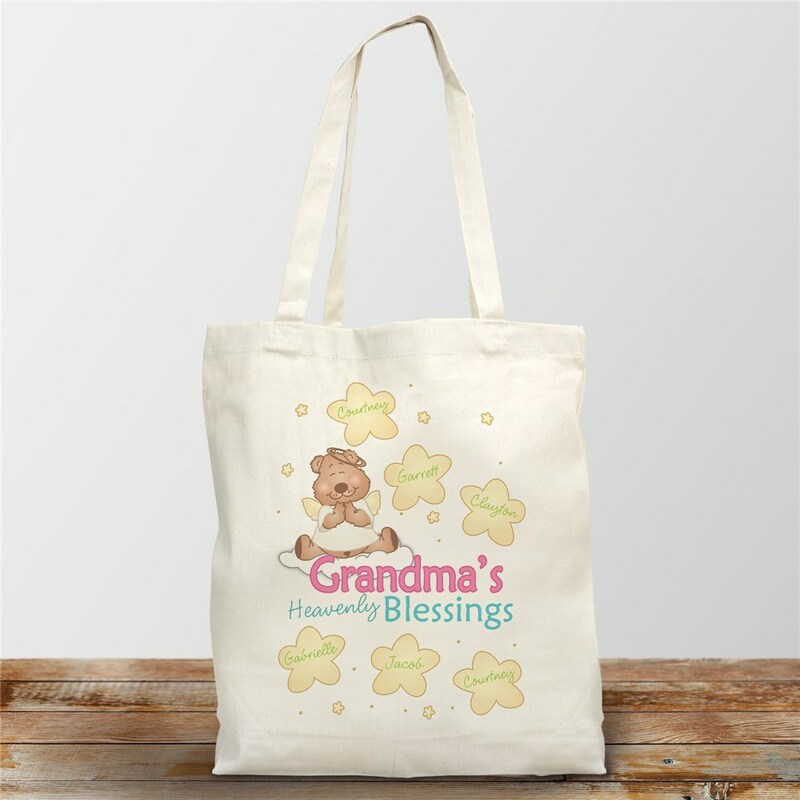 Enjoy all of your precious blessings with a Personalized Grandma Tote Bag. You will look great and feel great carrying each and every Heavenly Blessing. Personalize your Mom's Tote Bag with any title and up to 30 names. When you create a personalized totebag it can have any title: Mom, Grandma, Nana, Aunt Sally or any special title. I purchased this gift for my grandmother in law. Her old bag was falling apart. So she really adored this bag, especially having her blessing's named on the bag. I was really disappointed in this bag. The colours on-line made the bag look very bright.The bag I received is pale and washed out looking. GiftsForYouNow.com offers many unique Custom Printed Tote Bags that are great Personalized Gifts for Mother's Day. We have also have Custom Printed Frames, Custom Printed Keepsakes, Custom Printed Mugs & Custom Printed Shirts. For all of your special occasions.